Standard Definition version: This video discusses surgical management of hemorrhagic vocal cord polyps and the expected outcome after surgery. This video discusses surgical management of hemorrhagic vocal cord polyps and the expected outcome after surgery. 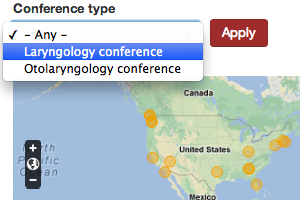 This site is my attempt to inform you about voice disorders from a physician's perspective. Vocal cords behave according to the laws of physics and there is not much that is mystical about them - although they are most important for transmitting verbal information and emotion from one person to another. If you would like a summary of diagnosing voice disorders, that would be best available in a book I have written, published 2012, "Why is there a frog in my throat? 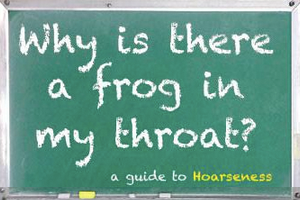 A guide to hoarseness." All of the content on this site, including photos and videos, are available for your use under a creative commons license which allows you to use the content for non-profit or educational purposes at no cost, as long as you attribute it's source.